Hi bloggers, so today is the first official day of our holiday in Cornwall and lets just say the weather is a little less than perfect. However on the upside we did find ourselves immersed in bargains down at the Cornish Market World near St Austell. An antiques fair was also being held at the market today which was great for us to find some treasures. 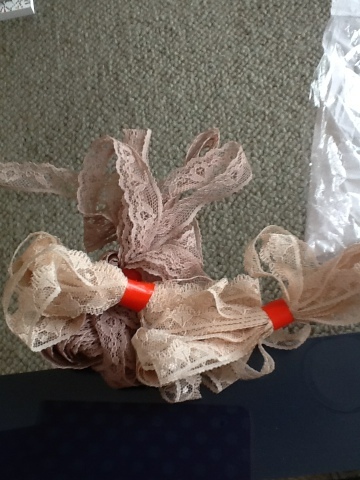 We first picked up some lace for 30p a bundle in shades of pink and purple. 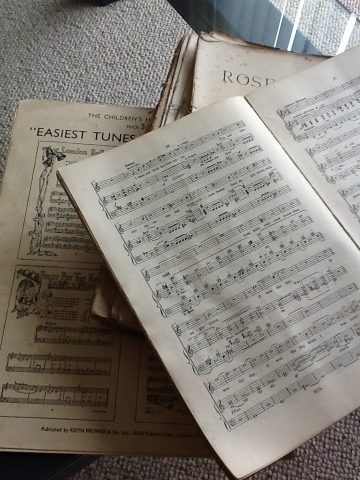 We also managed to get 5 books of music sheet paper for £1 - now that is what I call a bargain! This will definitely come in handy for our workshops. 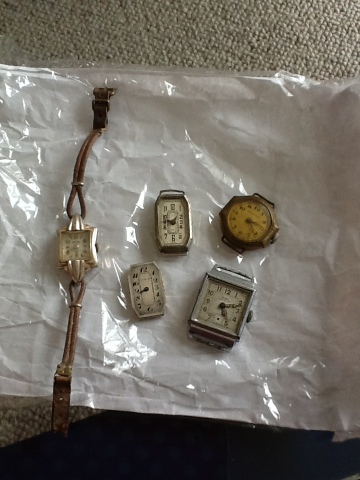 Another great bargain we found were some vintage watches for £1 each so we picked up five of those, not sure what we have planned for those but at that price we just had to get some. Finally this is not so much a vintage find but a bag fulfilment of mine. 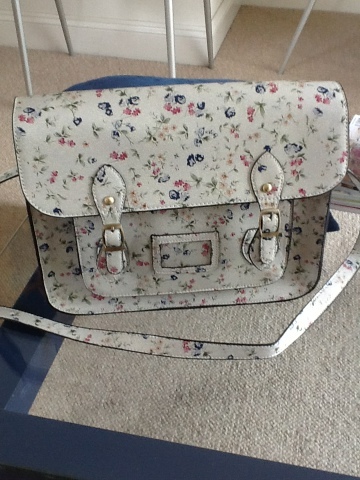 I had been wanting to buy a cute satchel bag for a while, after seeing that advert on the TV about that woman who made satchels and started a business online, I think the advert was for Google maybe. Anyway we found this small stall near the back of the market selling cute little purses and wooden hangings for the home. She was also selling lots of satchel bags and as soon as I clocked this bag I knew it was something special. Being the indecisive person that I am I couldn't decide straight away and had to walk away for a few minutes to think about it. But literally 5 minutes later we returned as mum talked me round into buying it and I definitely won't regret it. It's the perfect size to fit my trusty iPad in and matches lots of different outfits that I wear. The company that makes the bag is called LYDC London and the name of the stall was Dotty Teapot Gifts who you can find on Facebook and can also make an order for any bags or purses by sending her a personal message. 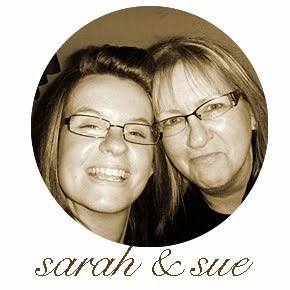 So far so good on our crafty retreat, although it would be nice if the weather perked up a bit!